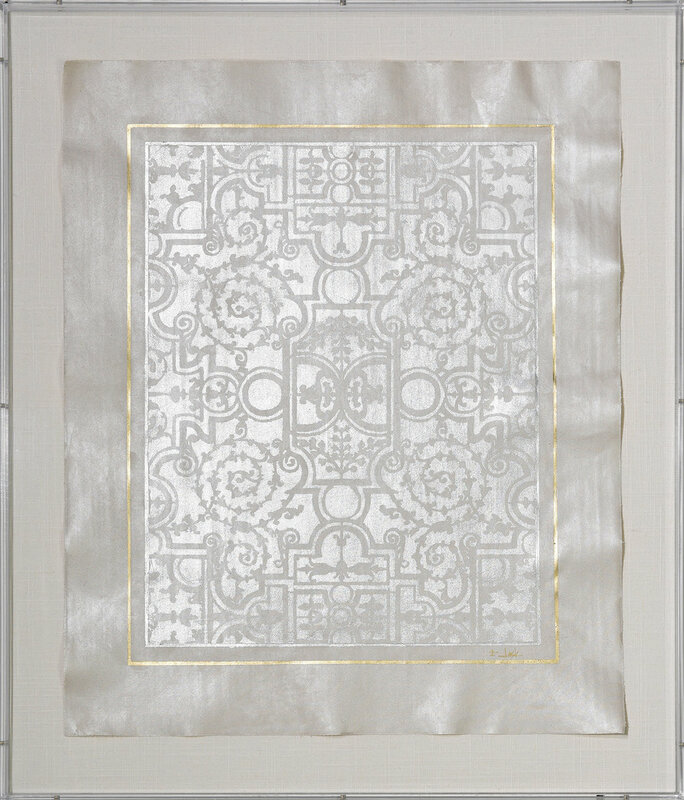 Our line of gilded textile art panels offer a unique wall decor solution. Each piece is individually made and able to be customized. 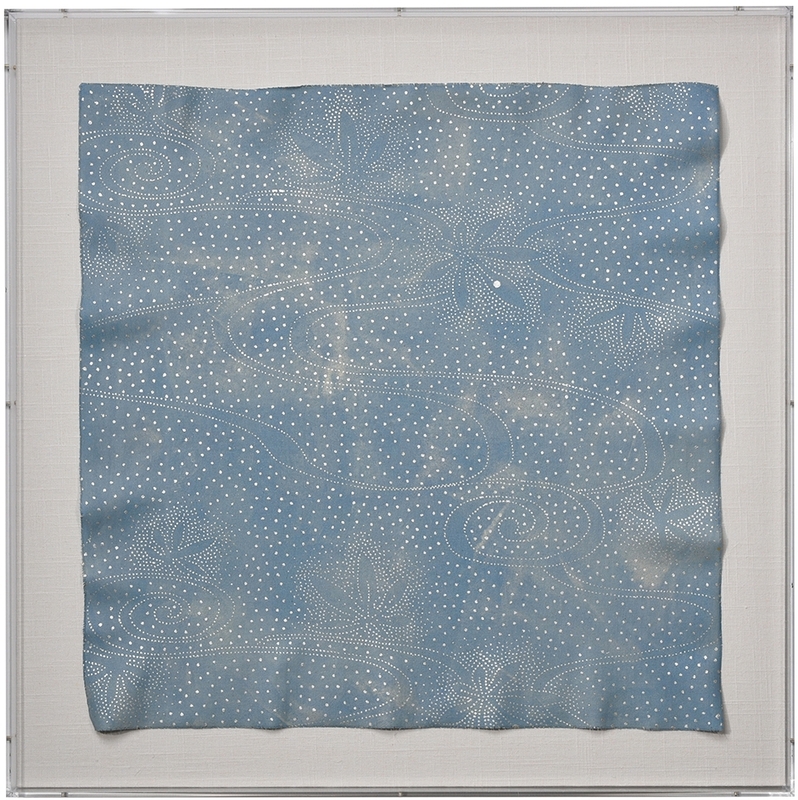 Color ways are designed from custom-mixed pigments, patterns are hand-leafed and each piece is subtly antiqued for a look of authenticity and distinction. 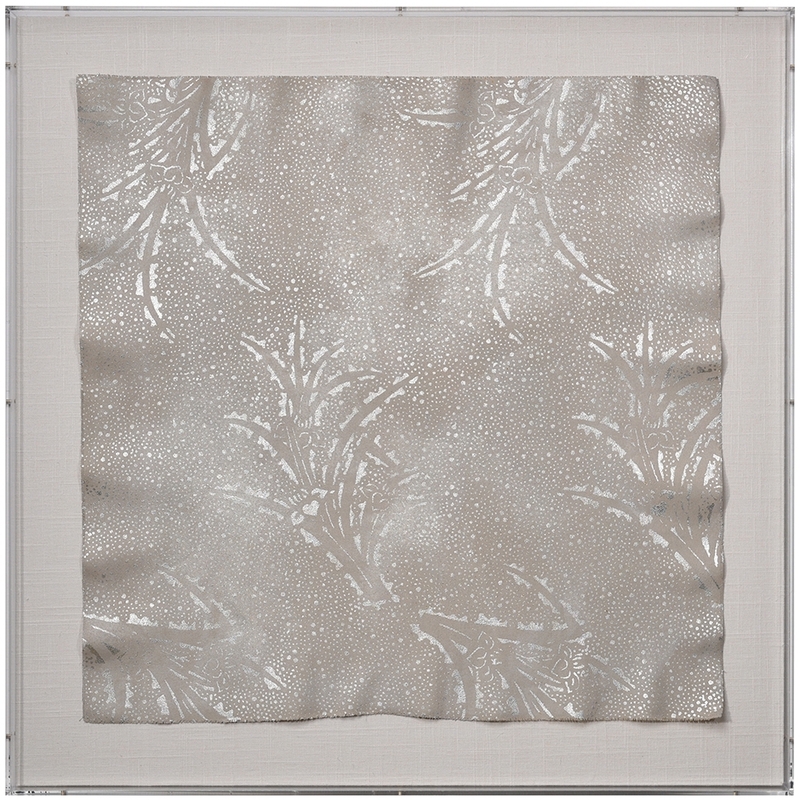 Artwork is mounted on linen wrapped panels and either encased in acrylic or set behind acrylic with stand-offs. 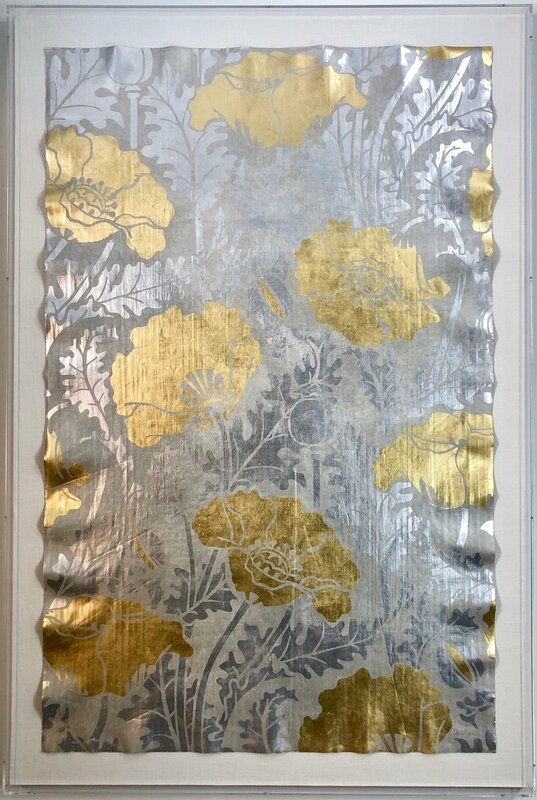 Birds and Blossoms in gold and silver leaf. 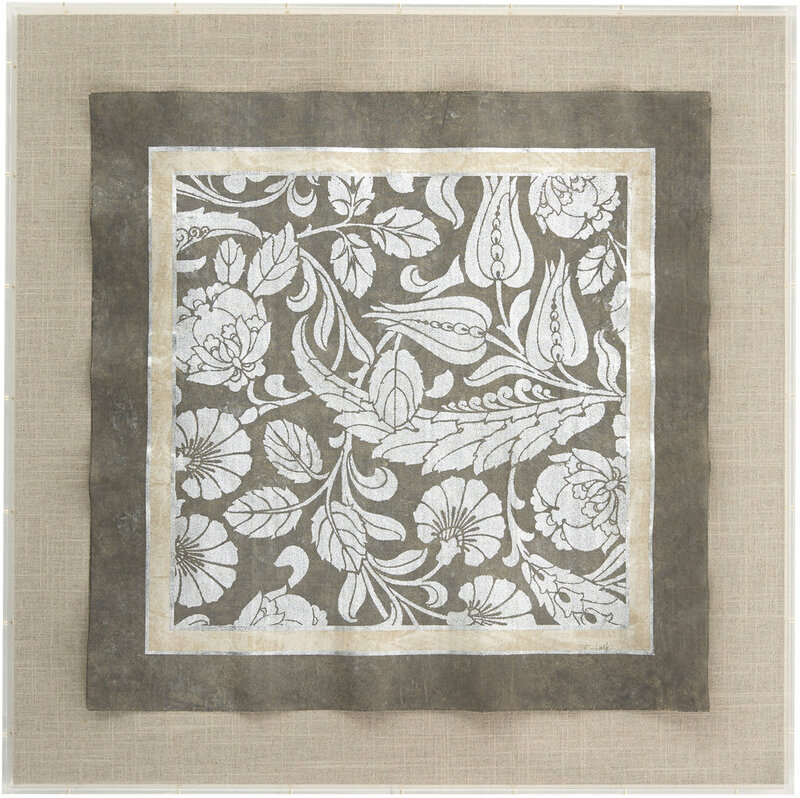 60 x 60 Tapestry grid in Slate with silver leaf mounted on Natural linen. 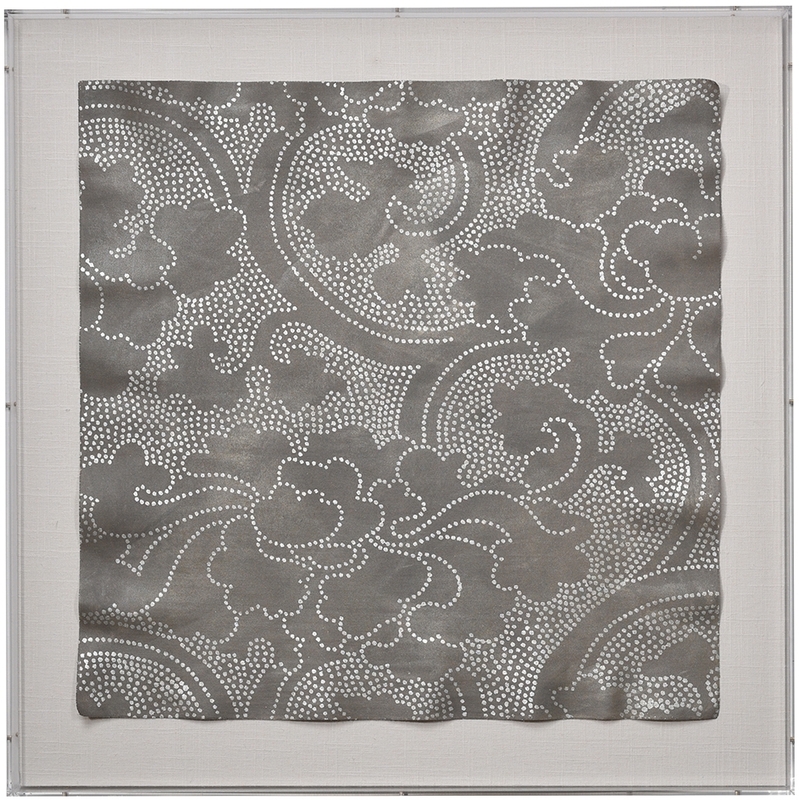 28 x 28 Tapestry in Slate with silver leaf on natural linen. 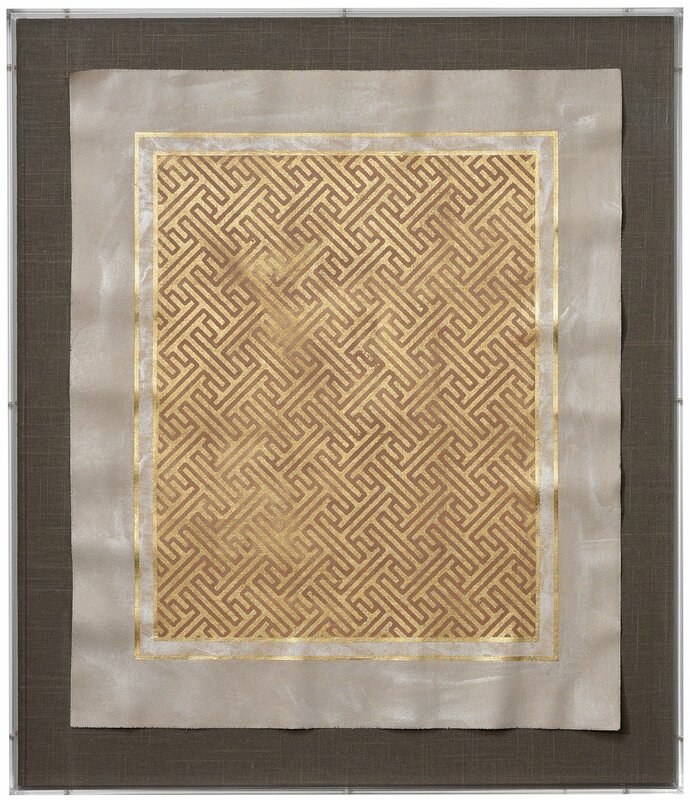 28 x 28 Arabesque 2 in Slate with gold and silver leaf mounted on natural linen. 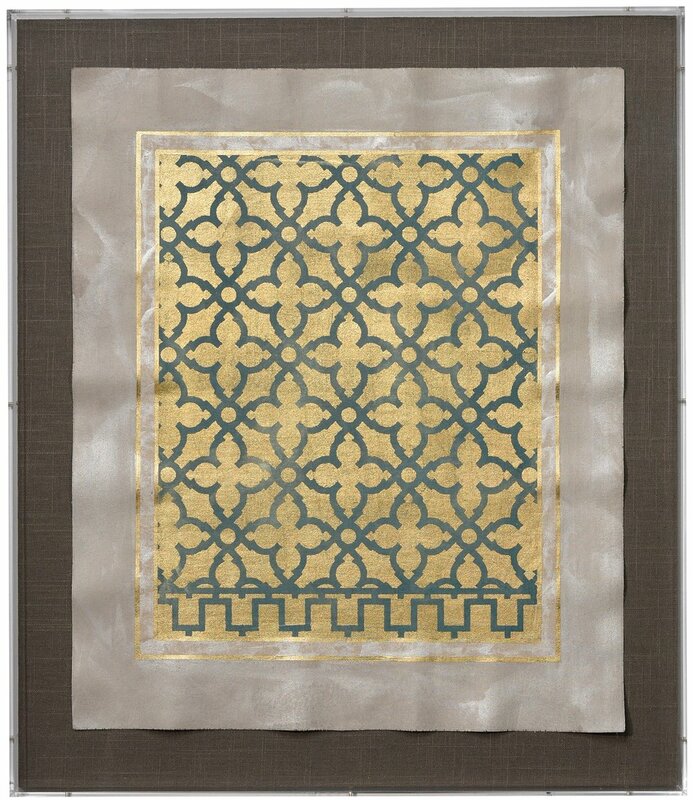 28 x 28 Arabesque 1 in Jade with gold leaf mounted on natural linen. 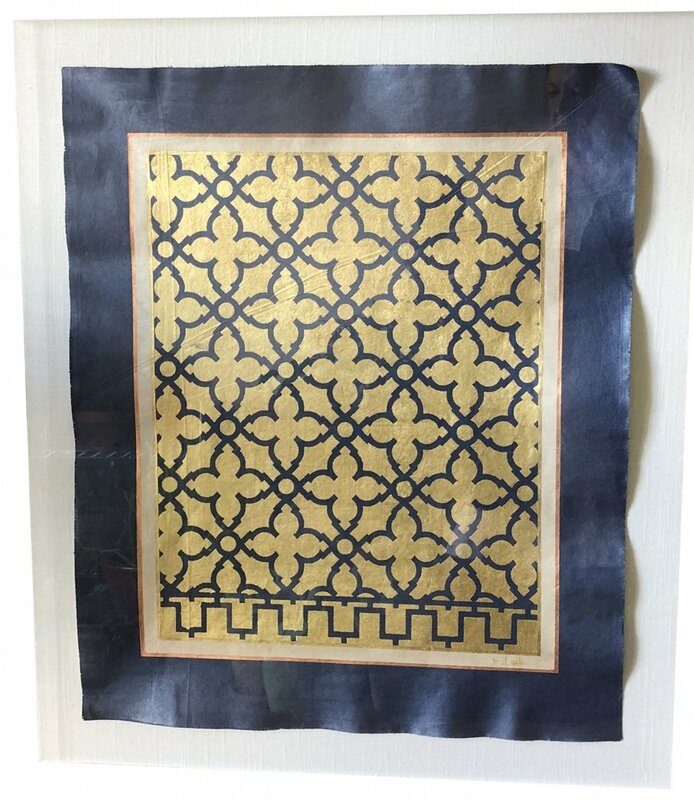 28 x 28 Arabesque 1 in Teal with gold leaf mounted on natural linen. 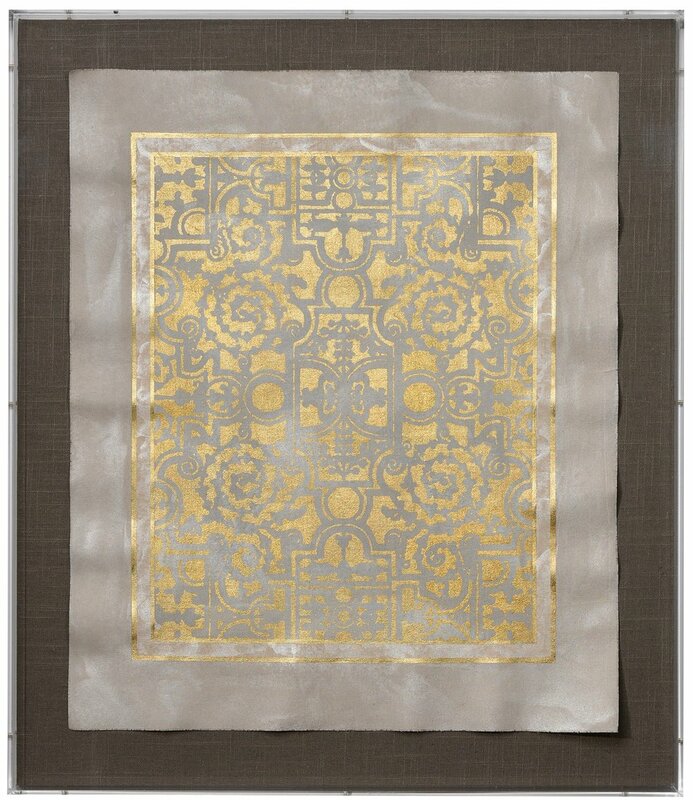 28 x 28 Arabesque 1 in pumice with gold and silver leaf mounted on natural linen. Birds and Blossoms in Teal with gold leaf. Birds and Blossoms in jewel tones with gold leaf.